Look up and down the list of candidates for state offices and you will not see many listed under the Progressive Party. What happened to all the P’s? The Vermont Progressive Party has made a conscious decision to encourage more of its candidates to seek office by running in the Democratic primary first. They will simultaneously seek write-in votes in the Progressive primary, aiming to have both party lines in the November general election. The strategy worked in recent years to elect three Progressives to the state Senate and to put Doug Hoffer in the auditor’s office. But the same strategy could complicate Progressives’ plans for electing Sen. David Zuckerman (P/D-Chittenden) as lieutenant governor this year. 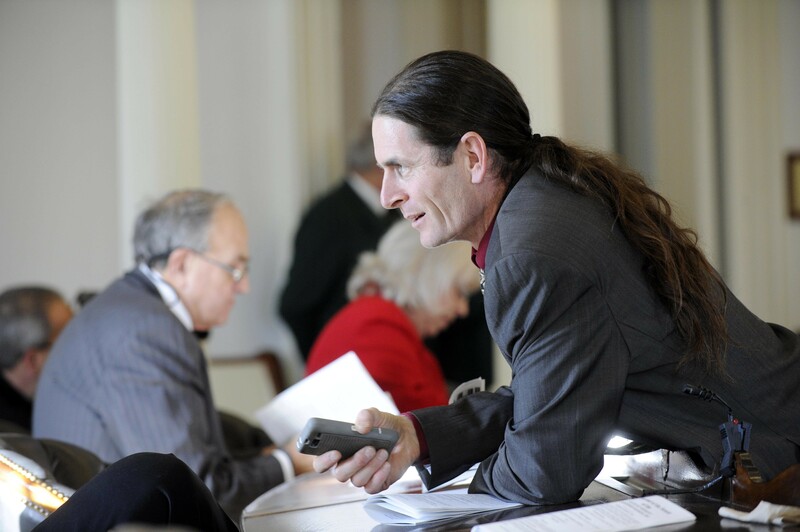 Zuckerman is a longtime Progressive who is running in the Democratic primary and hopes to also gain the Progressive nomination through write-in votes in that party’s primary. “My intention is to run with both labels,” Zuckerman said. But Boots Wardinski might just get in the way of those plans. The Newbury resident, a frequent alternative candidate who has not been active in the Progressive Party, has filed to run for lieutenant governor — as a Progressive. Wardinski’s presence on the Progressive ballot means Zuckerman likely will need to carefully plot how to get enough write-in votes to win the Progressive nomination. But if too many of his supporters pick the Progressive ballot, it could cost him the more valuable Democratic Party nomination. “It’s a logistical — I wouldn’t say challenge — activity that we’re involved in,” Zuckerman said. Zuckerman is in a tough three-candidate race in the Democratic primary with Rep. Kesha Ram (D-Burlington) and House Speaker Shap Smith (D-Morristown). Cumbersome as the process can be, Mulvaney-Stanak said Progressives are sold on the idea that they can best build their party by having their candidates run in Democratic primaries. 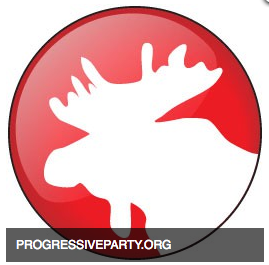 In the past, most Progressive House candidates ran just as Progressives. But this year, Rep. Sandy Haas (P-Rochester) and former Progressive representative Cindy Weed of Enosburg Falls are examples of Progressives who filed to run as Democrats. Progressives have about 30 House candidates for this year’s election, Mulvaney-Stanak said. As of Thursday night, no House candidates whose petitions had been verified were listed as Progressive candidates on the Secretary of State’s website. The full list of candidates who filed by Thursday’s deadline won’t be available until next week. Mulvaney-Stanak said the party has asked Progressive candidates, if elected, to commit to caucusing with Progressives and to officially list their party affiliation as Progressive/Democrat rather than the other way around. That, she said, will signal that they are not beholden to the Democratic majority.